Central Headquarters , New Delhi-110 001. 2.All CHQ Office Bearers of NFPE and affiliated Unions/Associations. As all of you are aware Department of Posts has commenced the process of verification of membership of Gramin Dak Sevaks for grant of recognition. 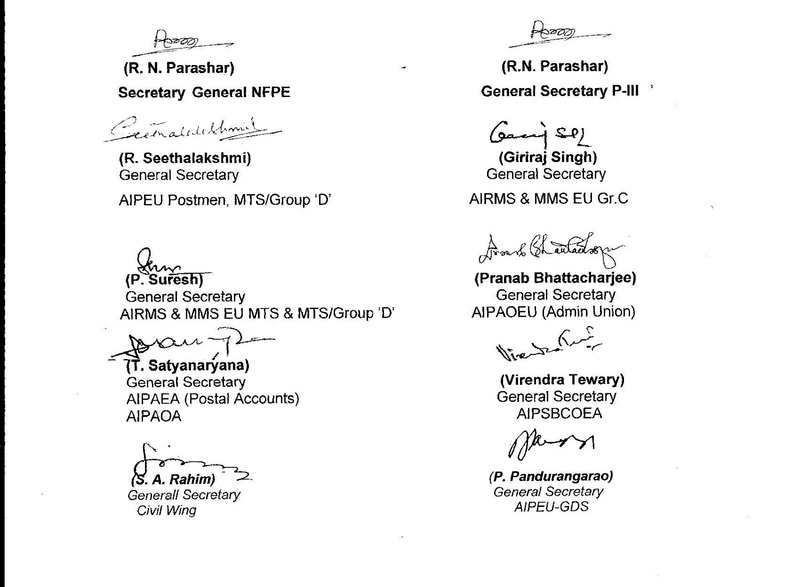 The AIPEU-GDS was formed in the year 2012 and the Federal Council of NFPE held at Hyderabad in 2013, which is the highest decision and policy making body of NFPE, has decided to grant “Associate Membership” to the newly formed AIPEU-GDS. For the last four years, AIPEU-GDS is functioning without recognition and joined all the programmes of NFPE including strike. During this four year period it had conducted two All India Conferences and formed Branches in all the 22 Circles. After formation of AIPEU-GDS, it is the first membership verification taking place. There is no doubt that the AIPEU-GDS will get recognition and shall become number one recognised GDS Union, with flying colours. But that is not enough - we should make the AIPEU-GDS as the only one recognised GDS Union in the Department of Posts. It is not impossible. For fulfilling the above task, all Circle/Divisional Branches of NFPE affiliated Unions/Associations and also all CHQ office bearers are hereby requested to take immediate action to implement the following directions of NFPE. 1. It should be ensured that Circle/Divisional Unions of AIPEU-GDS is formed in all Circles/Divisions. 2. The name, designation and official address of the Circle/Divisional Secretaries should be intimated to “Com.P.Panduranga Rao, General Secretary, AIPEU-GDS, 1, Patel Road, Shadipur, Dada Ghosh Bhavan PO, New Delhi-110 008”. 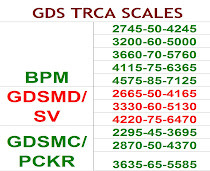 Email ID: aipeugdsnfpe@gmail.com Mob: 09849466595. Divisional Secretaries should inform the above particulars to Circle Secretaries also. 3. Still there are some divisions where the branches of AIPEU-GDS are not yet formed, inspite of repeated instructions from NFPE. All those Divisions where the branch of AIPEU-GDS is not yet formed should form the Branch Union or at least an Adhoc Committee at Divisional level with a Secretary or Convenor before 15th April 2016. The name, designation and official address with pin code and mobile number of the newly elected Secretary or Adhoc Committee Convenor should be intimated to the General Secretary and Circle Secretary. Wherever Circle Unions are not functioning immediate action should be taken to form a functioning Circle Union or Circle level Adhoc Committee of AIPEU-GDS. 4. It is reported from some circles that some P3 and P4 Divisional Unions of NFPE has not taken any positive action to form the Divisional Branches of AIPEU-GDS. Not only that in some limited divisions, the rival GDS Union, which is campaigning against NFPE and has formed separate unions for Group-C and Postmen/MTS in the name of “UNITED” to break our P3 and P4 Union and thereby to destabilise NFPE, is given all help and assistance by the some P3 and P4 Unions of NFPE and also holding joint meetings with the rival GDS Union which is no more an affiliate or Associate of NFPE. This is not permissile and is in violation of the directions and guidelines issued by NFPE. It is once again made clear that disciplinary action will be taken against those divisions which refuse to form the branches of AIPEU-GDS and which are still cooperating and extending all help to the rival GDS Union and conducting joint meetings. The recognition of all such Divisional Unions which refuse to carry out the directions of NFPE will be withdrawn without any further notice. 5. Last date for submission of application by GDS Unions for participating in the membership verification process is 31-03-2016. AIPEU-GDS has already submitted application to the Directorate on 18-03-2016. Please note that the name of our union is “AIPEU-GDS”. Department may issue orders fixing the last date for submission of authorisation forms to the Divisional heads, along with the model authorisation form with the signature of an officer of the Directorate. 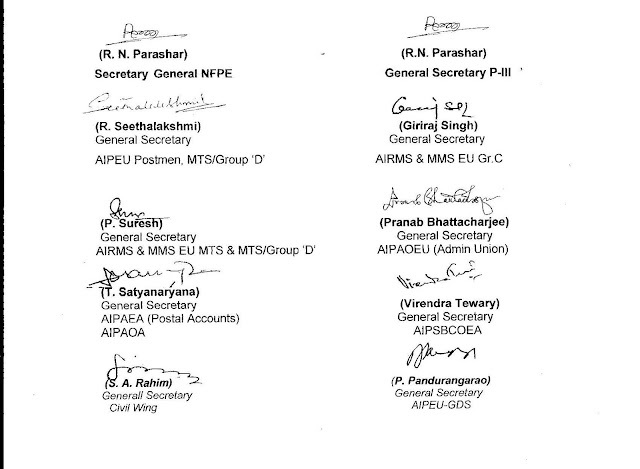 Immediately on publishing the authorisation form by the department all the affiliated unions of NFPE should jointly jump into action and collect maximum number of authorisation forms from GDS of each division. As GDS are working in remote villages, action plan should be chalked out now itself, for visiting each and every Branch Post Office by the NFPE leadership, for collecting authorisation forms signed by the GDS in favour of AIPEU-GDS. 6. AIPEU-GDS is the GDS Union of NFPE and it is the collective responsibility of all Circle/Divisional Unions of NFPE to make our GDS Union as the only one recognised union. Let us take it as a challenge and prove that it is possible. 7. A separate circular issued by AIPEU-GDS CHQ is also enclosed herewith.